Phileo – Lesaffre Animal Care – striving for perfection and prosperity. 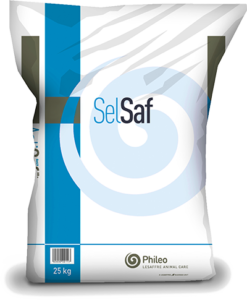 With over 20 years of experience in the field of feed additives for animals Phileo Department of Lesaffre is one of the leaders in the market of probiotics and other yeast-based products. Phileo is a part of the Nutrition and Animal Health unit of Lesaffre Group, the world leader in yeast production and yeast extracts. The reputation of innovator and high professionalism in the process of fermentation supported Phileo in creation of a number of highly efficient feed additives: probiotic on the basis of live yeast, yeast cell wall, enzymes, yeast enriched with selenium. These products comply with the strict market requirements and standards of feed manufacturing domain.